The Dragonfly TPE Lite Yoga Mat was designed to ensure that germs, odors, and sweat don't penetrate the surface by utilizing easy to clean closed-cell technology. Made from earth happy TPE, this mat is biodegradable, non-toxic and recyclable with no PVC, latex, or harmful chemicals. 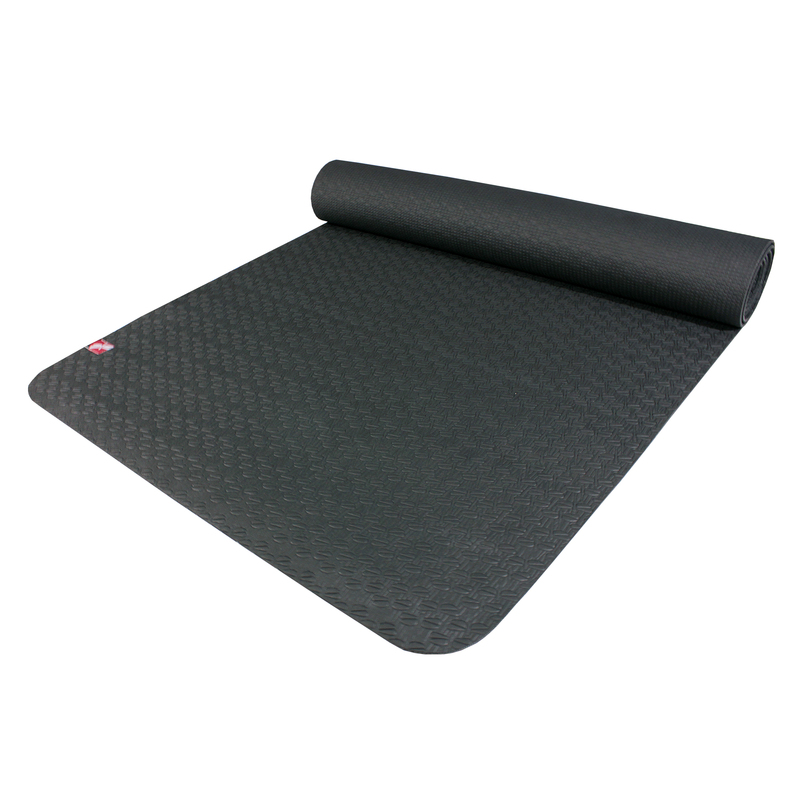 TPE is an optimal material for someone who wants an eco yoga mat but might be allergic to natural tree rubber. Comes in your choice of two super cool designs: two tone (slate blue and black) with embossed Dragonfly logo, or black with repeating Dragonfly pattern. Lightweight, 3mm thick, and great on nearly every surface, the TPE Lite mat is a great travel mat, studio mat, or home mat. I wanted a light, non-stinky, environmental conscious mat and I found that with this one. It’s very light, but also thin for those of you wanting cushion. No stink! I’m going to enjoy this mat. I even had a way more expensive mat from a well known yoga brand and I prefer this one for those reasons.